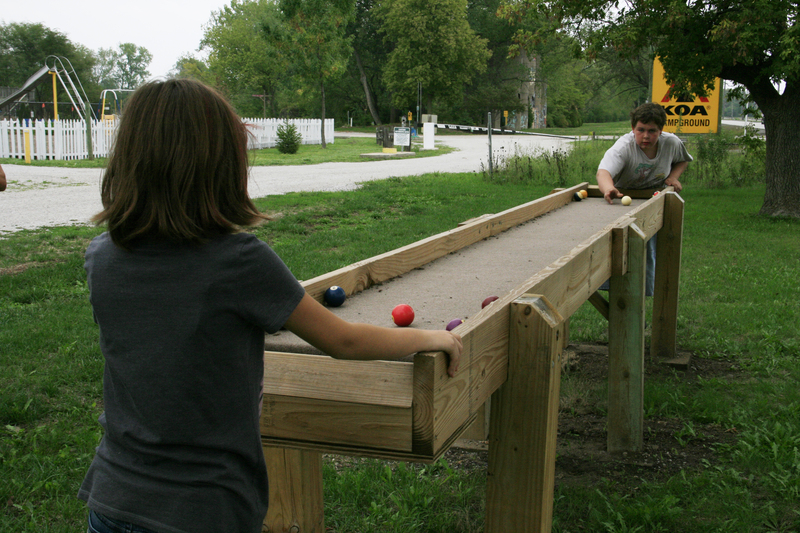 Rock Island / Quad Cities KOA Campground has many activities available for our visitors. We’re sure you’ll find a few favorites. Here’s a short video showing a few of our great activities! Just click the arrow to start the video. The following activities are provided for our guests at no charge. Hover over photos to see additional information. You can also click on each photo to see an enlarged image. 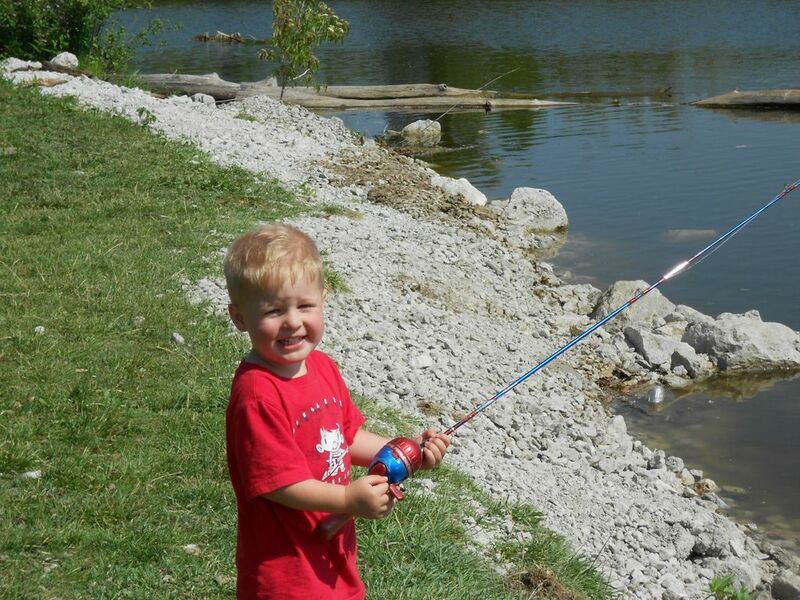 Kids of all ages can enjoy our two lakes for fishing, no license required! 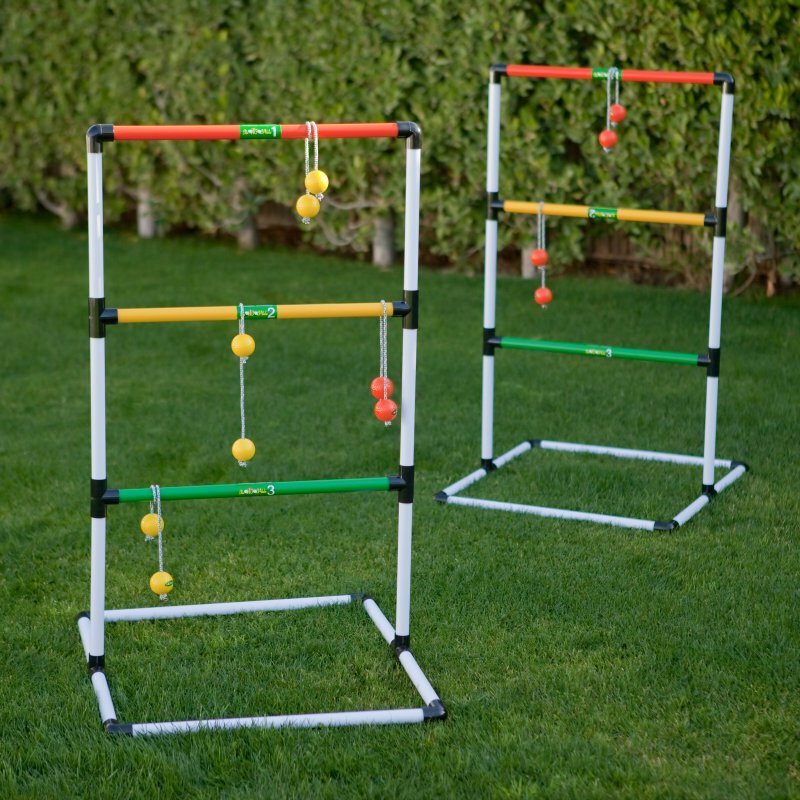 Host a weekend horseshoe tournament or just teach the kids an “offline” activity that they will want to play again and again. 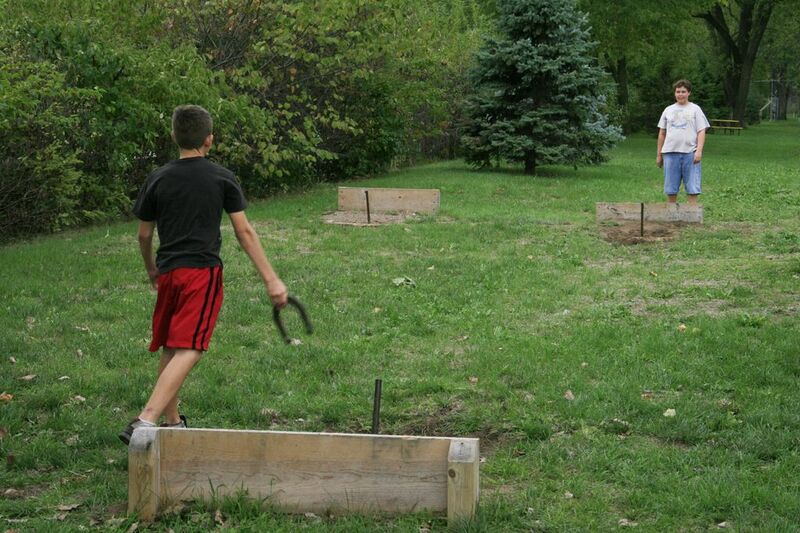 Check out the horseshoes at the office for free! 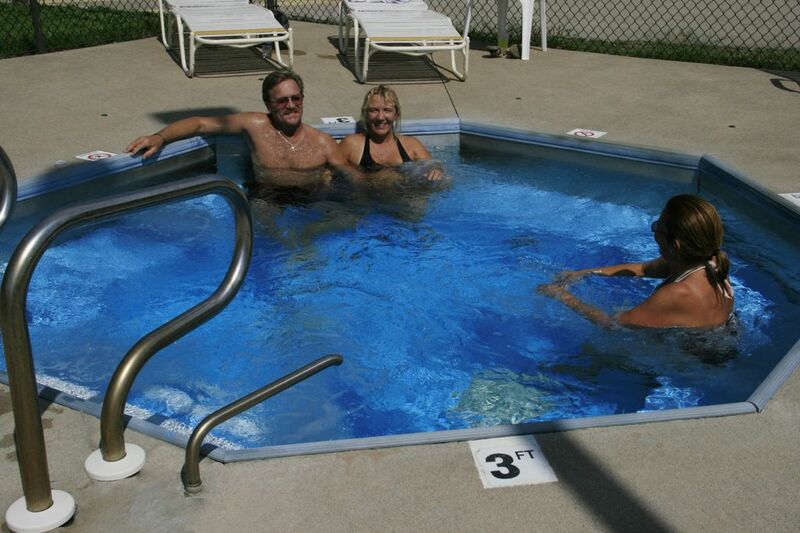 Melt away those travel aches in our adult only hot tub. Open mid May through mid September. 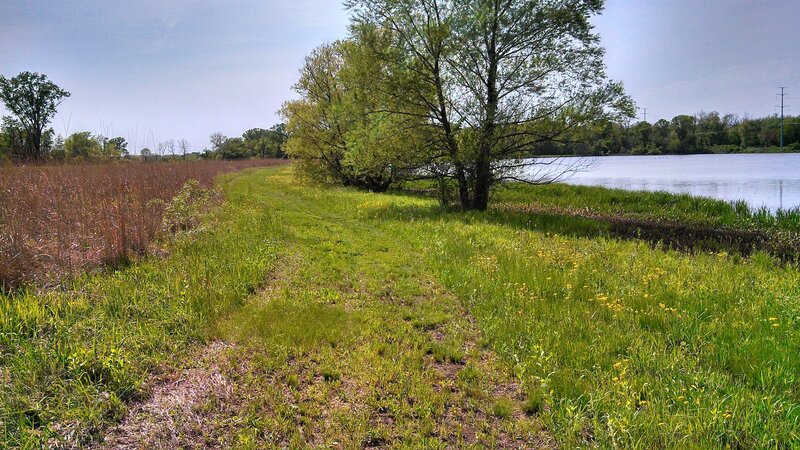 Power down by walking along our nature trail that borders prairie grass, wildflowers and a pond full of wild life. The summer hosts beavers, deer and birds of all kinds. In the winter months it is full of bald eagles and red tail hawks! 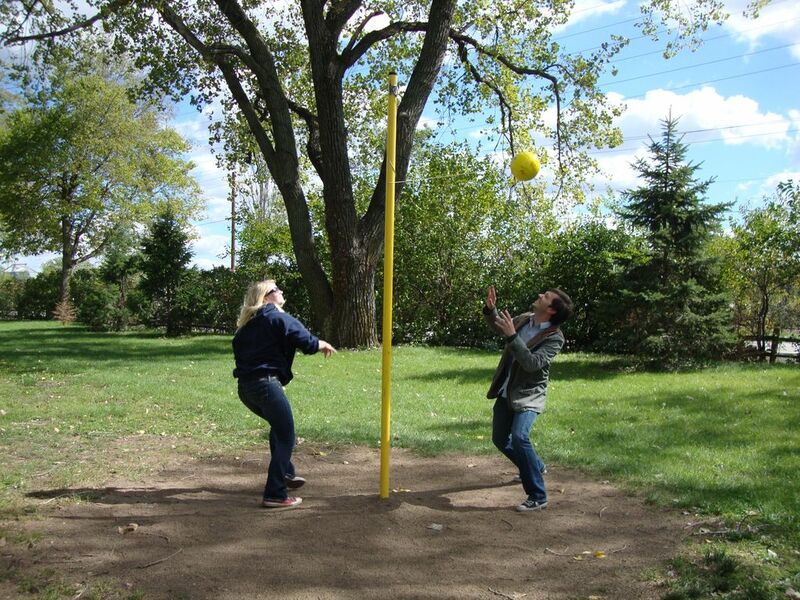 See who is more coordinated by testing your skills at tether ball. Ladder Ball is here. Check it out from the office and get your game on. Lots of fun for kids and adults. Splash away in our heated (when needed) pool. Not camping with us? We have day passes available! 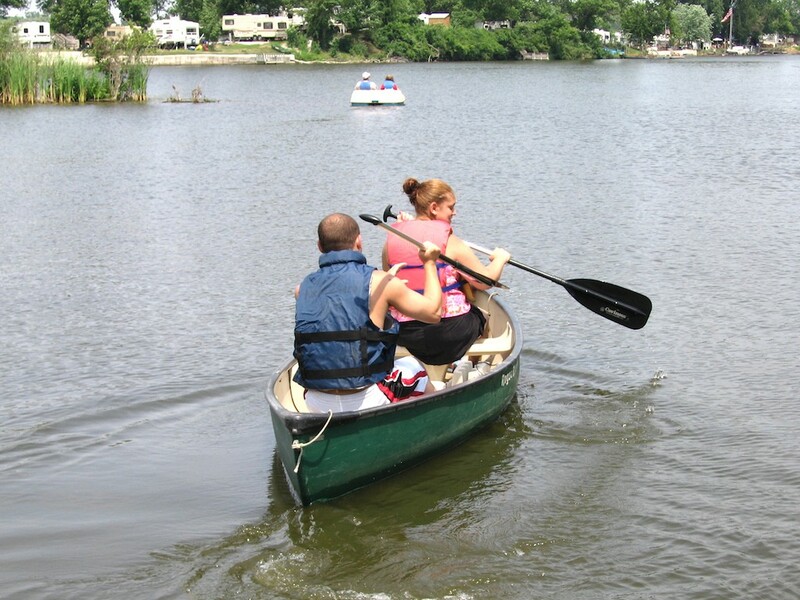 Take a paddle boat out for a fun family activity. Whether it’s to view the wild life, for exercise or for fishing, you are sure to create memories that will last. Life jackets provided. 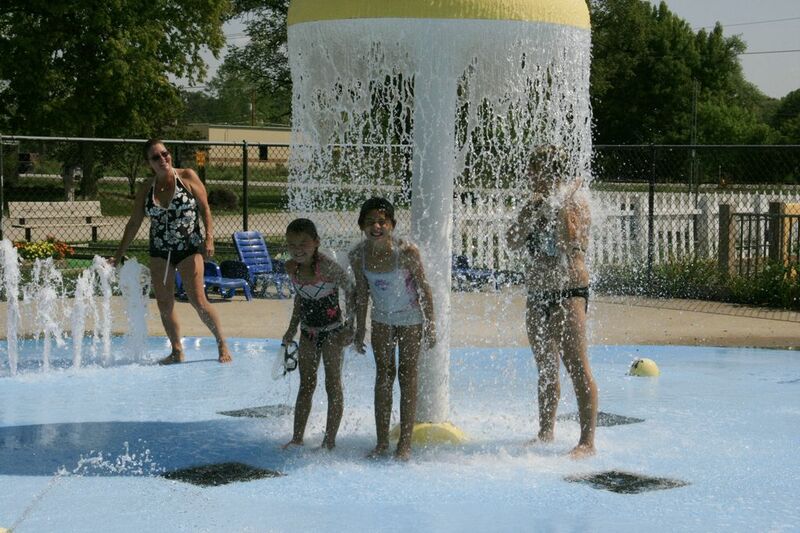 Cool off in our spray park that is included with your site. Not camping with us? Day passes for swimming and fishing are available! 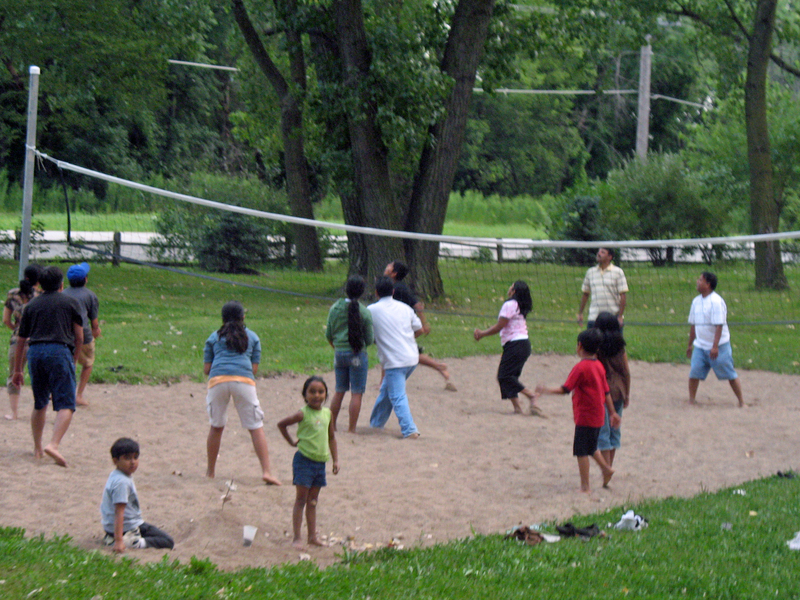 Grab the family and some neighbors to play a rousing game of sand volleyball (or let the toddlers build sand castles). Check out the volleyball for free at the office. 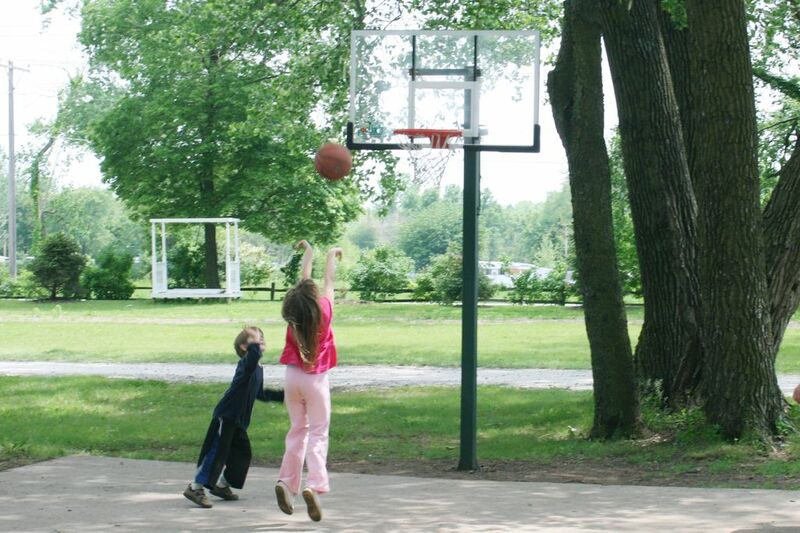 Enjoy a game of basketball with your group or friends you meet during your stay. Didn’t bring a basketball? No problem, check one out at the office for no charge! Try the new Carpetball game. It’s a lot like shuffle board but you use pool balls they you can check out for no charge from the office! 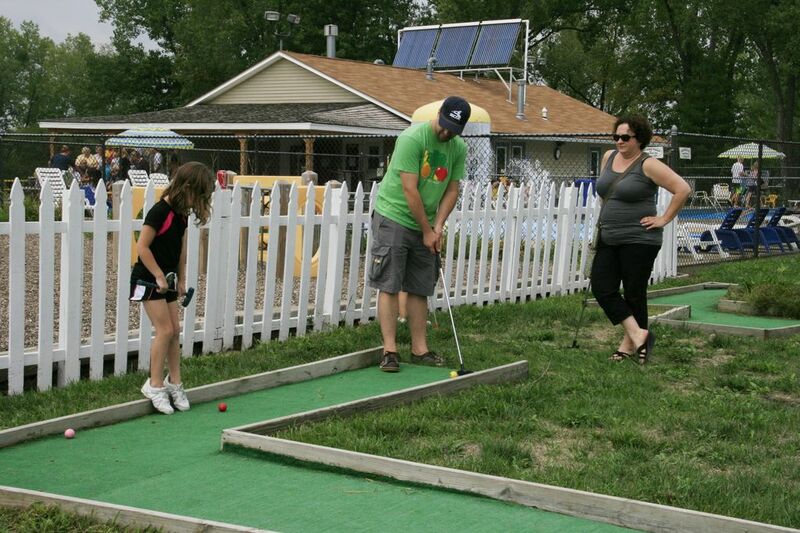 Enjoy a leisure game of putt putt golf for free when you bring your own golf ball or buy a souvenir ball! 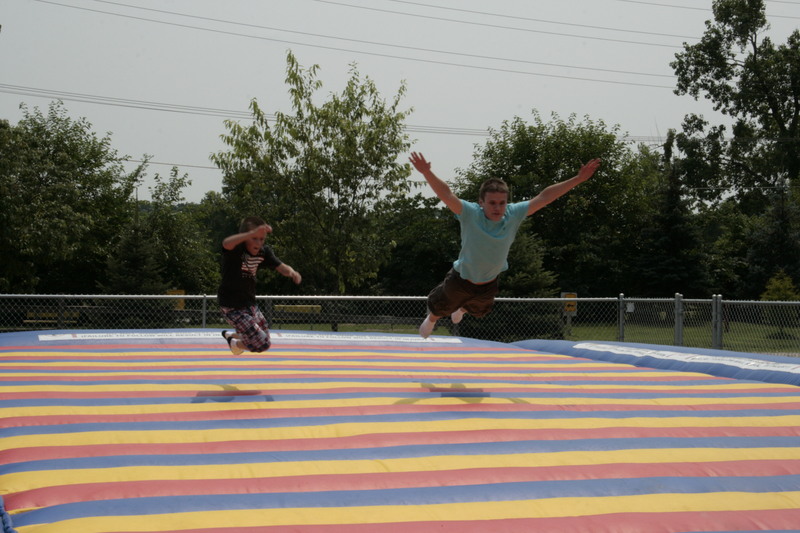 Get some big air and feel like you're flying on our jump pad. 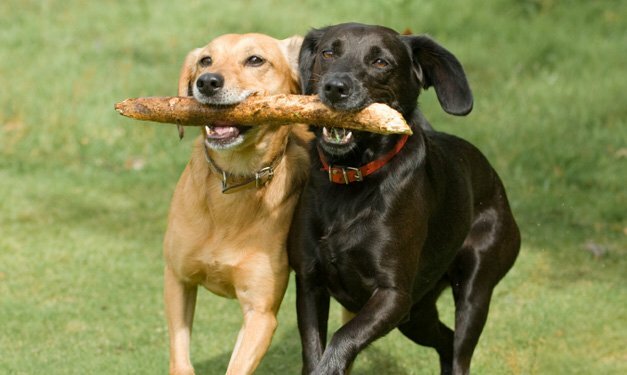 The pooches have their own park! 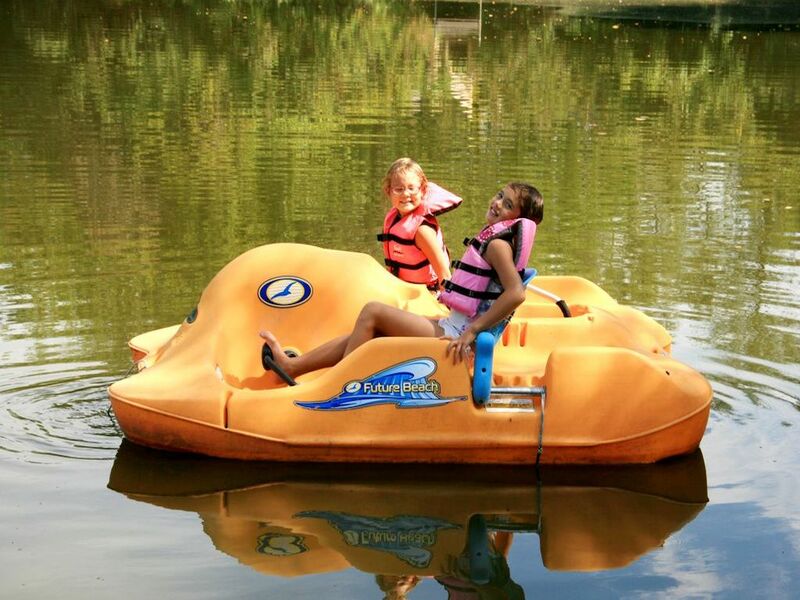 Quietly glide through our two lakes to get a glimpse of the wild life. Life jackets provided. 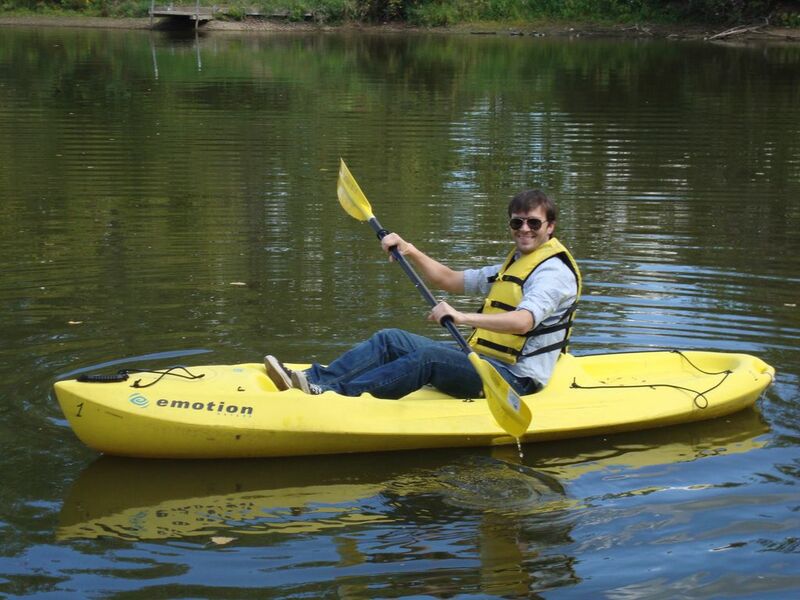 Our kayaks are a great way to explore our two lakes and admire nature at its best! Life jackets provided. The following activities require a rental fee or small deposit. Want to see the entire campground but would rather give your feet a rest? 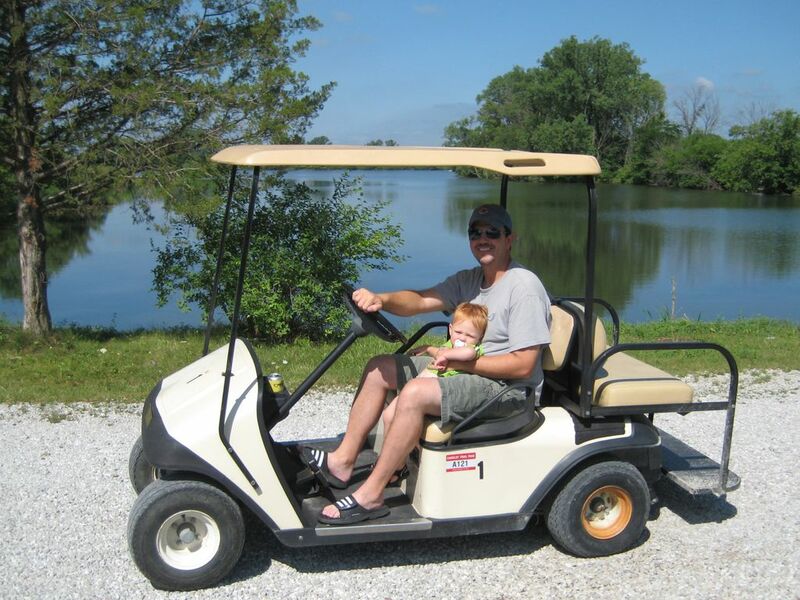 Rent a golf cart by the hour or the day. Must be 18 or older to rent and 16 or older with a valid driver’s license to drive. 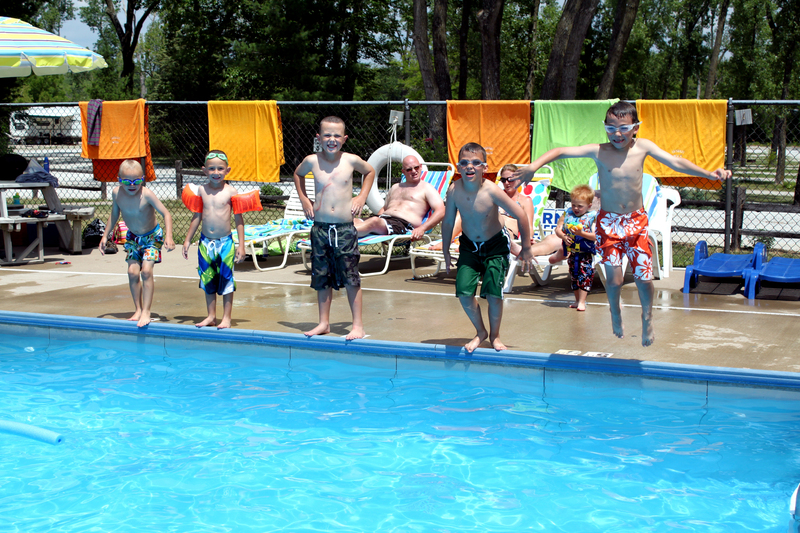 Kids and adults alike will be sure to find an activity to suit their needs. We’re proud to offer such a wide range of activities to our guests. Why not try them all?